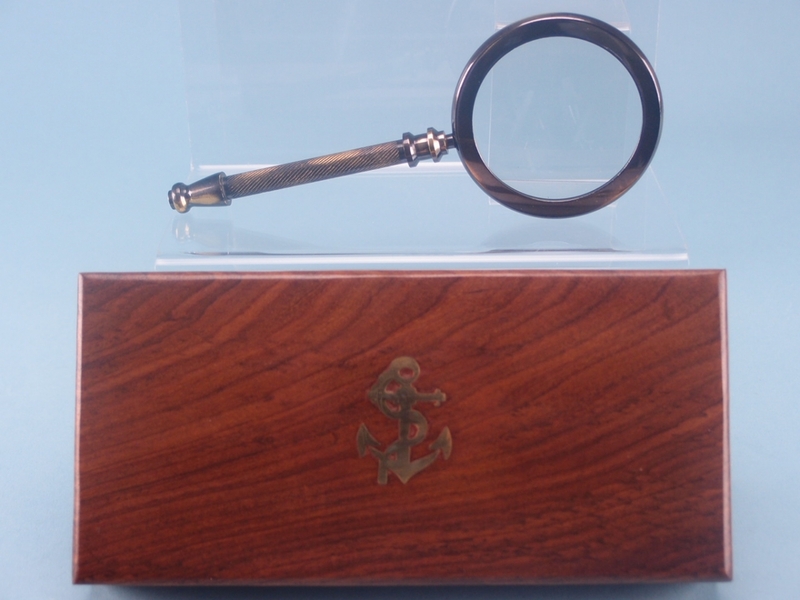 If you are looking to stock a product in store that is a little unique, look no further than this 3” magnifier, coming in a wooden box. The magnifier itself is part of our popular brassware range and features some intricate detailing along the handle. 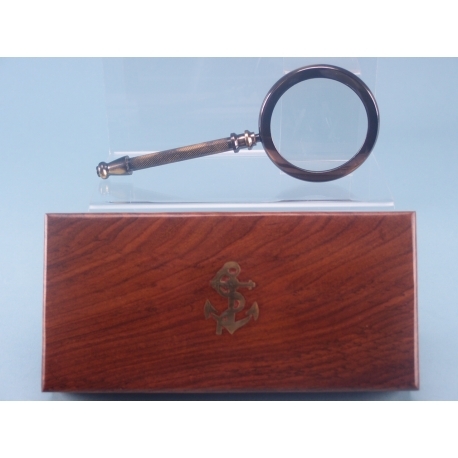 Coming in a varnished and professional looking wooden box that has been adorned with an anchor symbol, this 3” magnifier will make a great gift. 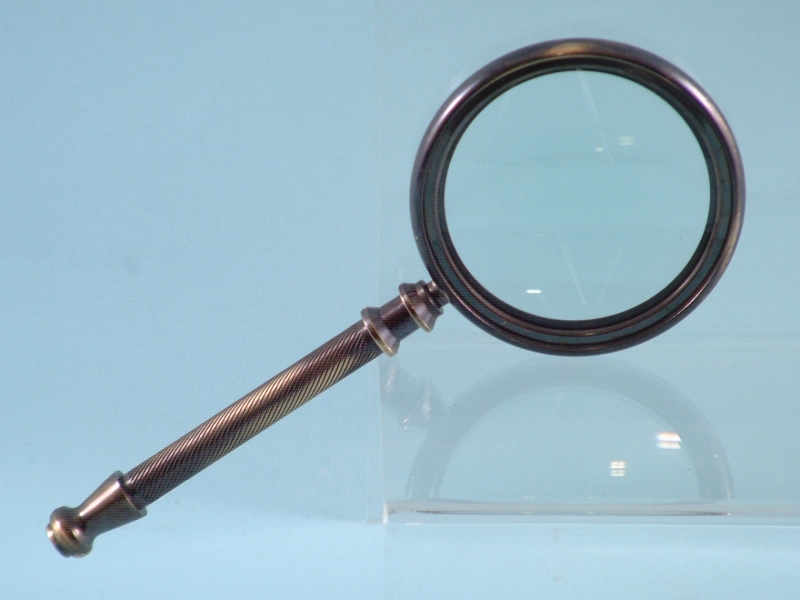 Whether it is for a customer who wishes to display the magnifier as in the photo, or someone who wishes to utilise it, this magnifier is a must stock product.